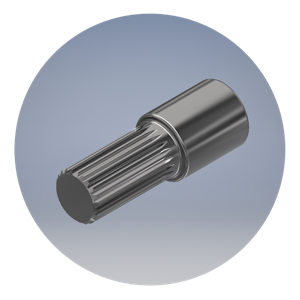 A spline is a series of teeth (splines) on a drive shaft that mesh with grooves in a mating gear. The surfaces of the two, the spline and the meshed gear, allow smooth transfer of force along a straight line of contact. Rhino Gear makes both internal and external splines in a range of configurations.